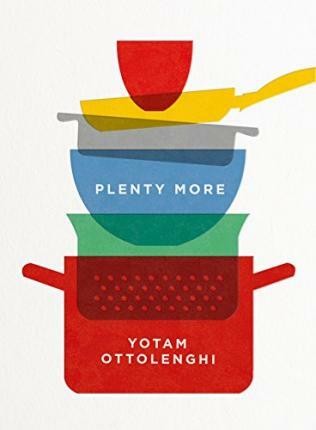 Yotam Ottolenghi's Plenty changed the way people cook and eat. Its focus on vegetable dishes, with the emphasis on flavour, original spicing and freshness of ingredients, caused a revolution not just in this country, but the world over. Plenty More picks up where Plenty left off, with 120 more dazzling vegetable-based dishes, this time organised by cooking method. Grilled, baked, simmered, cracked, braised or raw, the range of recipe ideas is stunning. With recipes including Alfonso mango and curried chickpea salad, Membrillo and stilton quiche, Buttermilk-crusted okra, Candy beetroot with lentils, Seaweed, ginger and carrot salad, and even desserts such as Roasted rhubarb with sweet labneh and Quince poached in pomegranate juice, this is the cookbook that everyone has been waiting for. "Even the most passionate carnivore might be surprised by the wealth of veg-based recipes on offer here. An exciting introduction to meat-free eating." Yotam Ottolenghi completed a Masters degree in philosophy and literature whilst working on the news desk of an Israeli daily, before coming to London in 1997. He started as an assistant pastry chef at the Capital and then worked at Kensington Place, Launceston Place, Maison Blanc and Baker and Spice, before starting his own eponymous group of restaurants/food shops, with branches in Notting Hill, Islington and Belgravia. He opened the restaurant NOPI in Piccadilly in 2011. Yotam is the author of the bestselling Ottolenghi: The Cookbook, Plenty and Jerusalem. He has presented two series of Ottolenghi's Mediterranean Feast on More 4 and Channel 4. Plenty More is his fourth book.